Girls: Rock As Religion The San Francisco band's latest is called Father, Son, Holy Ghost, but the reverence it displays is more musical than spiritual. 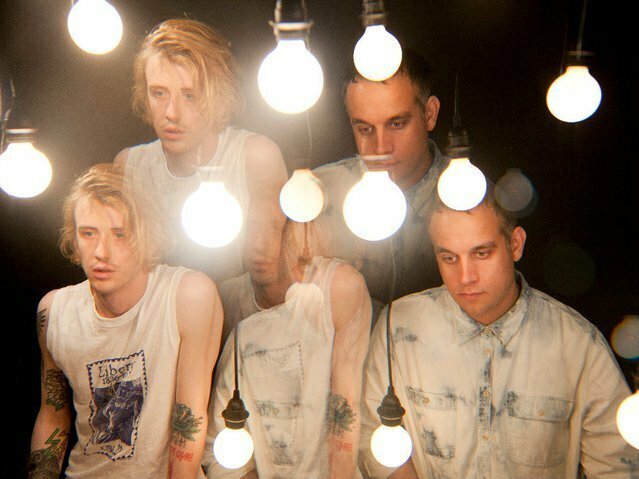 Singer-songwriter Christopher Owens (left) and bassist-producer Chet "JR" White are the core members of Girls. Christopher Owens has a bit of the provocateur in him — always a good thing in a rock star, especially at a time when rock music has a seriously dwindling market share. The 2009 debut single by his band, Girls, was titled "I Need a Boyfriend," which Owens has said was meant more figuratively than literally. The new Girls album is titled Father, Son, Holy Ghost, and if you're guessing it's a tell-all about his upbringing in the so-called religious cult called the Children of God, you would be incorrect. But, back story aside, it is an extraordinary record. As far as I can tell, Father, Son, Holy Ghost is an album about secular love, historically the topic of numerous rock scriptures. And rock history is definitely on Owens' mind — from the Dark Side of the Moon-style organ swells and gospel vocals of "Vomit" to the wicked surf-guitar riffs in "Honey Bunny" to the searing guitar jams in the simply titled "Die," which was inspired by a Fleetwood Mac song from that band's early days as a psychedelic blues-rock outfit. The new Girls album comes at a time when lots of indie-rock acts are looking backward to various eras for inspiration, and the component parts are familiar. But Father, Son, Holy Ghost is more than a flashback machine, partly because Owens, somewhat like the late Amy Winehouse, puts a modern spin on his gender-dodging lyrics and on his delivery, which has a very 21st-century sense of desperation about it. It's also because his sound, soulfulness, melodies and provocations are simply more compelling than those of most of his peers. It's rock that feels transformative rather than recycled, and these days, that's something very special.